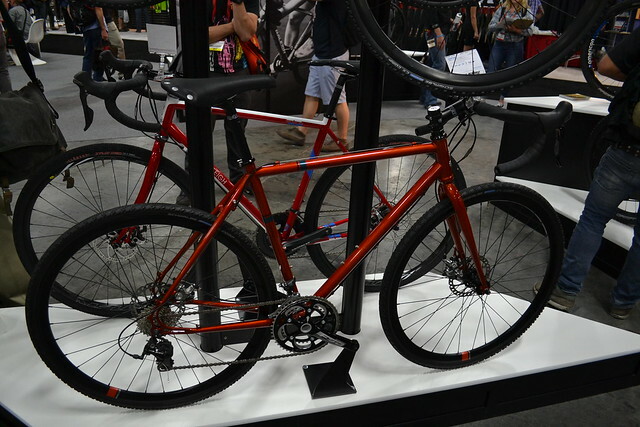 Interbike 2013: Even more gravel bikes! 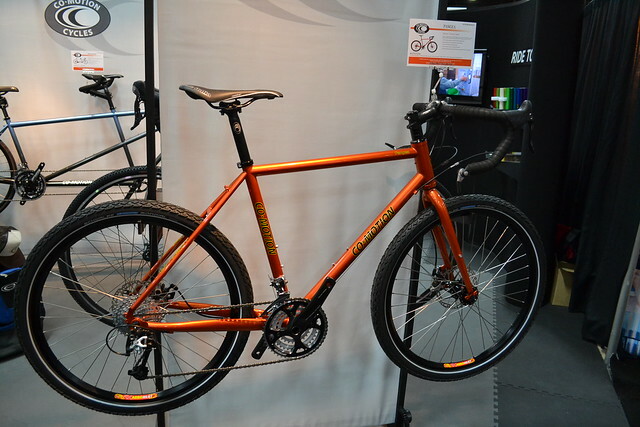 This is a followup to our earlier gravel bikes article. 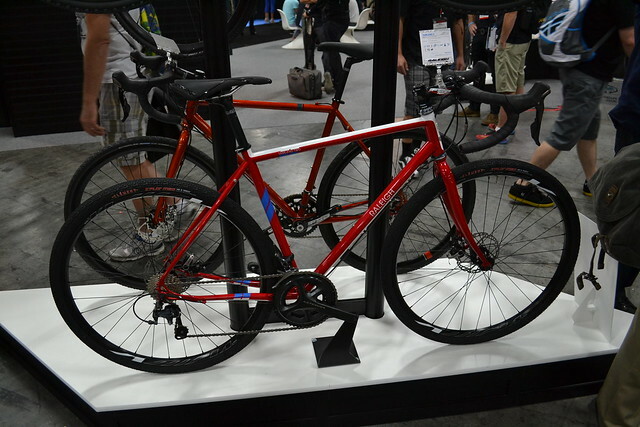 Once we made it onto the show floor at the Mandalay Bay convention center, it was time to capture pics of some other hot new gravel bike models (and an old favorite). The Tamlands sport a Reynolds 631 steel frame, slightly longer chainstays and a lower bottom bracket shell than typical cyclocross bikes. They’re lookers…but I can’t remember what differentiates one from the other. They’re so new they don’t yet appear on Raleigh’s website, and I neglected to take detailed notes. I believe it has something to do with the component spec, with the Tamland Two having Ultegra rather than 105 (but don’t quote me). 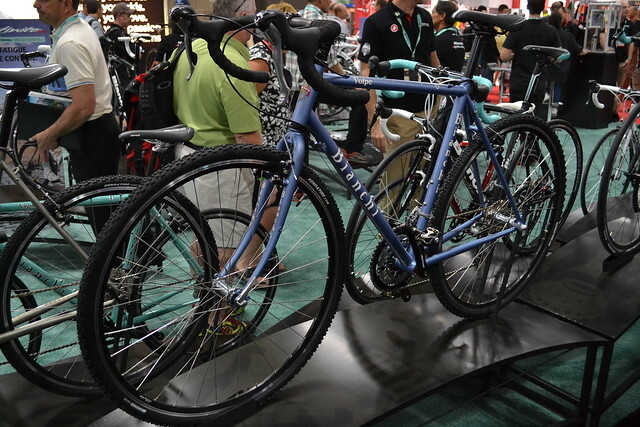 What do you think — are gravel bikes the new “ultimate commuter platform”? 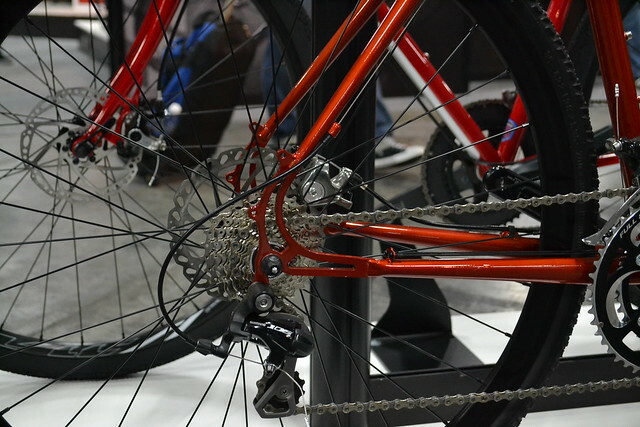 We’d love to hear your thoughts on this burgeoning segment of the bicycle market.